There is a GoFundMe to send our very own +James Spahn to North Texas RPG Con in June of this year. Its being run by +James Shields without conferring prior to James Spahn, which makes this extra often. Its a other sign of how this community takes care of its own. James M. Spahn is a freelance writer and game designer for the roleplaying industry who has created a myriad of works loved by many. His works are among such titles as Swords & Wizardry , The One Ring RPG , White Star , and many others. This summer, his talent and works may finally receive the reward and recognition they deserve. 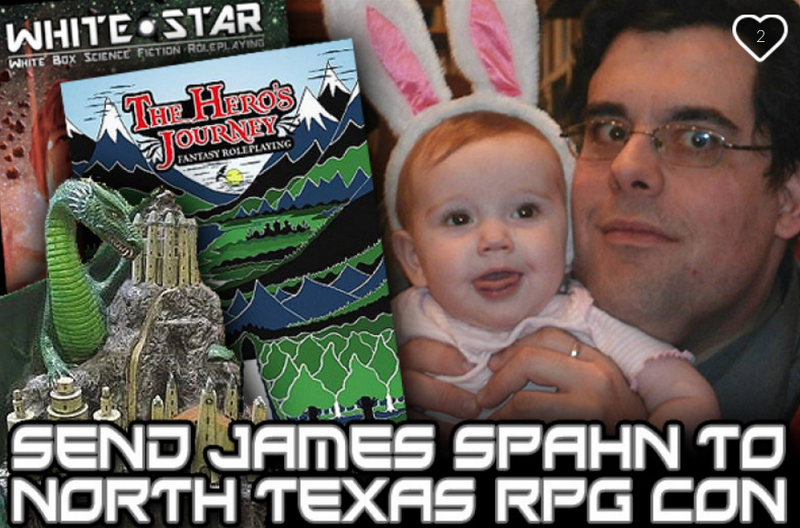 His latest work, The Hero's Journey Fantasy Roleplaying , is up for a Three Castles Award at the North Texas RPG Convention. However, James is a working family man with little funds to spare and can't afford the trip. Beyond the chance of winning this award, there will be many creators and designers in attendance who have contributed to whom James Spahn is today. This would mean the world to him. My name is James Shields. I am freelance artist for the roleplaying industry. A few years ago, I was simply a man who admired James' work. Today I am his friend. I am organizing this campaign because it is something James would never do himself. I figured I couldn't be the only one who wants to see him there. 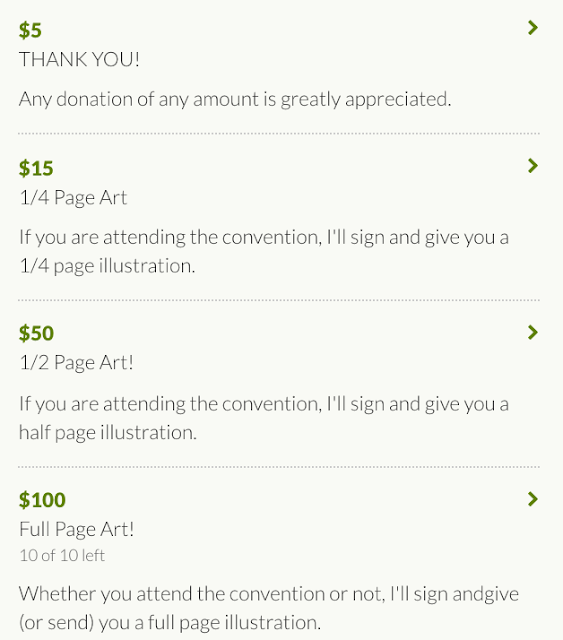 While the convention and awards will not be until early June, James needs the funds fairly soon to start purchasing tickets, arranging plans, etc. Ideally, we can reach the goal by the end of March. The amount set forth above should be enough to cover his airfare, convention ticket, hotel room, food, and reimbursement for missed work. Any funds raised above these expenses will go towards either the cost of bringing his family (if possible) or additional spending money at the convention. B) This campaign will remain live and continue to raise support to send him to the convention next year. All funds will go directly to James Spahn as beneficiary of this campaign. The awards listed are the only thing of value I know to offer. This campaign is my surprise gift to James Spahn. I am sure he'd love to game with and express his appreciation to anybody who helps send him to this convention. I trust you already love his work. This is your opportunity to love the man. Thank you so much for what amount you give for my friend. Now, what are the rewards? Full disclosure: James Spahn is not only a very good friends of mine, he (along with +Zach Glazar ) are my partners on Swords & Wizardry Light / Continual Light. Should the funding goal be met, we'll offer the first issue of the Torchlight Zine at PWYW pricing in PDF to get it in the hands of the entire community. I'd rather it be GaryCon but NT is okay.